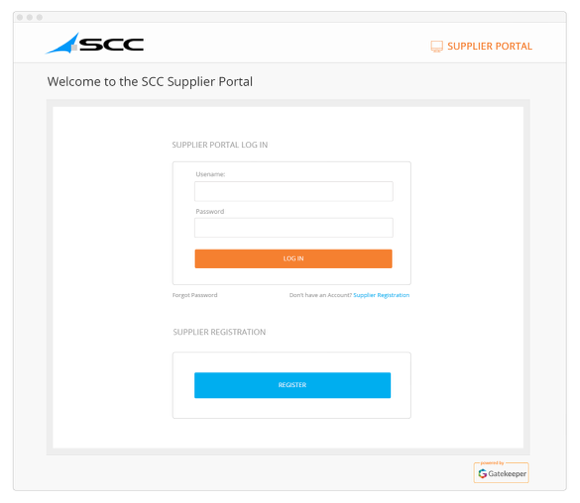 Manage your Vendor relationships through a branded Vendor Portal hosted on your own URL. 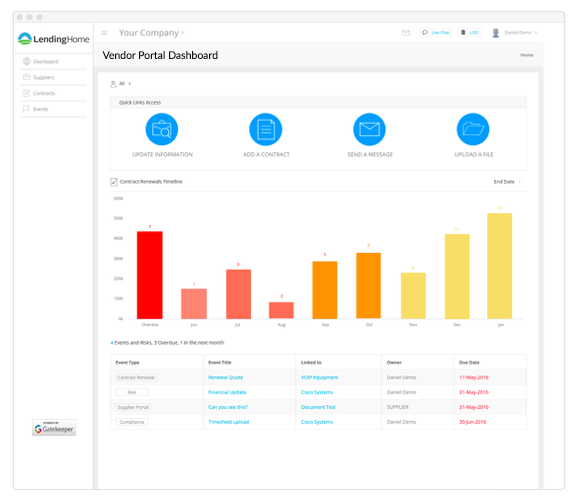 Enable our suite of Vendor management and engagement tools to solve your Vendor Master Data problem. 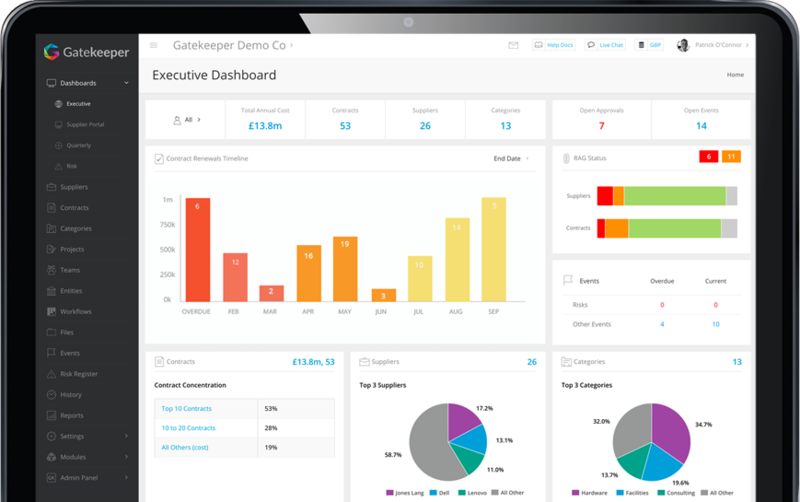 Leverage your Vendor base to keep your master data accurate and up to date whilst retaining full control. Vastly reduce internal data management costs and free up valuable management time allowing your team to focus on strategic objectives. Easily deploy a structured Vendor onboarding program securing and automating compliance (W8, Licenses, Insurance). Enable self-registration to pre-qualify new Vendors with a defendable and fully auditable process. 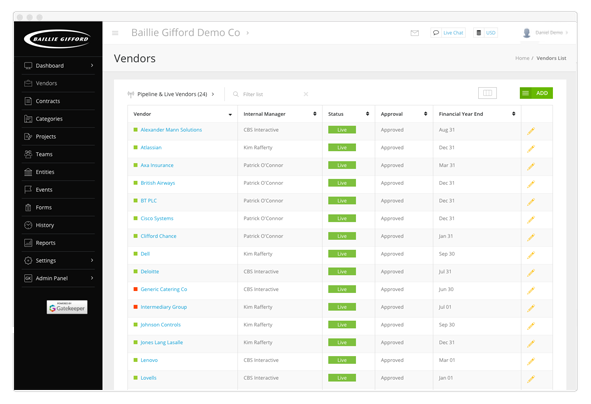 Complete visibility of your approved Vendors, company wide. One central location for your entire company to access your Approved Vendors and related Contracts. Reduce unnecessary new Vendor onboarding and ensure adherence to Contract terms. Track and share performance data to enhance Vendor value. Use the Gatekeeper messaging platform to collaborate with your Vendors in a central, searchable archive. Automate compliance requirements by leveraging your Vendors to update key data. Enable Vendor feeds data to be automatically alerted on important financial, market and managerial changes. View your Vendors by category to easily identify consolidation opportunities. Reduce your Vendor tail and build deeper more valuable relationships delivering significant hard and soft savings. Run from the comprehensive reporting suite including CFPB compliance. Build and share custom reports and schedule reports via email to make sure you are always in the know.